My subscription box obsession can't stop, won't stop! And today I'm bringing you one of the innovators of the subscription box: Birchbox. I've been a subscriber for years and this was the box that birthed the obsession! This month's Birchbox theme is us, their amazing subscribers! The box was inspired by three subscribers' mood boards, so let's look inside. Harvey Prince Eau So Divine | I'm not generally a giant perfume person since it just likes to climb up in my nostrils and never leave, which ends up giving me a headache and bothering my asthma. This perfume, however, smells quite delightful and isn't overly strong. According to the description, it is made to "transport you to your very own corner of paradise". The perfume has a lot of scents going on: Italian lemon, pink grapefruit, Japanese lily, Moroccan jasmine, iris, Madagascar vanilla, Indian patchouli, dry wood and musk. Whew, that's a ton of stuff but it all smells wonderful! I might actually be giving this one a try. One thing I do like about Birchbox is that they added in an option to limit the amount of scents you get. Before they had that option, I swear I was getting one every month. Now I only get a couple, which is more than enough for me. POP Beauty Portfolio Eyeshadow in Sugar Plum | I've received several POP Beauty products before but I don't remember ever getting any eyeshadow from them. This is a great little trio to take me into fall so I'm excited to give it a try. Plus I'm always on the hunt for good purple eyeshadows since they are hard to come by! They always look so pretty in the pan but usually, even over primer, they don't pack the punch I'm looking for. Fingers crossed that this one is as pigmented as I'm hoping! amika The Shield Style Extending Spray | I've used several different products from this brand as well but never this one. These days, for whatever reason, I can really use all the help I can get with holding a style. I'm not sure if it's because I started using a moisturizing shampoo and conditioner that I don't get the staying power I'm looking for, but my hair won't hold a style to save its life. I'm hoping this will help! dr. brandt pores no more cleanser | I will take anything I can to help with my pores! I'm excited to give this a try! 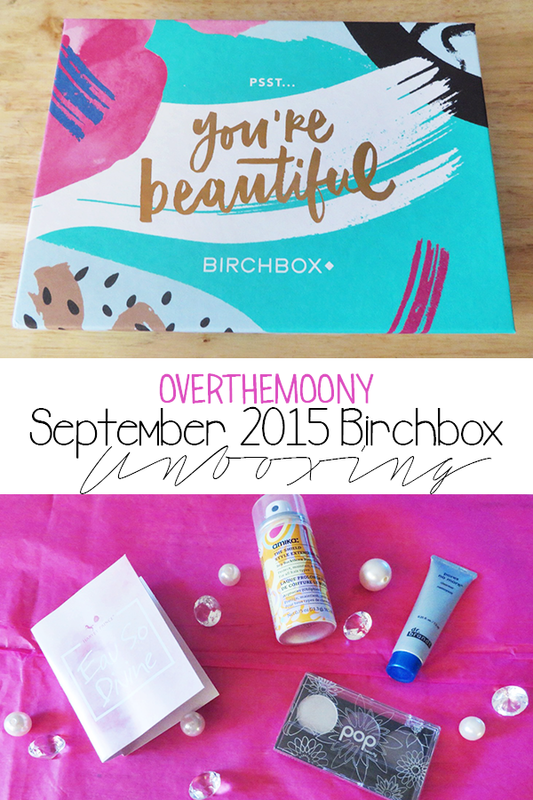 Are you a Birchbox subscriber? Let me know what you received this month in the comments below! Also, let me know if there's anything you'd like to see more information or a review on.